On the morning of day 2 of my roadtrip, I woke up early (about 6am) and packed up camp so that I could head to the dunes. 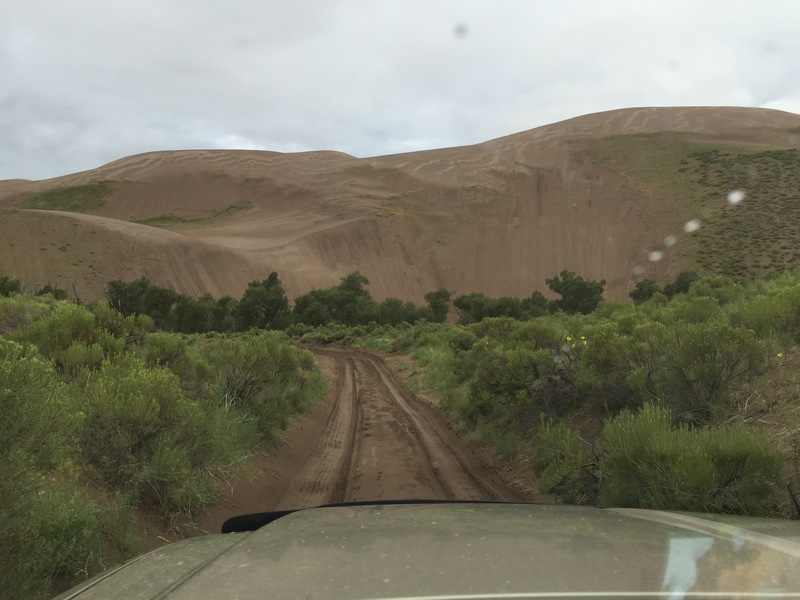 I didn’t end up going all the way to “High Dune”, since I wanted to get moving, and wasn’t really hanging around for that long. I’d like to go back and try going for a hike deeper into the dunes though, maybe even camp in there. Camping would be tough just because you’ve got to carry everything, and hike through sand. When I turned up in Crested Butte, I quickly realized a few things. First of all, CB is small. Like, tiny. Secondly, there was an arts festival going on (which shut down the main street of town) and thirdly, that Saturday night, in summer, is a bad time to turn up and hope to find some “last minute” accommodation. Being a cute little mountain town, it’s completely overrun on weekends. I called around all over the place, and the only accommodation I could find was a bed in a shared room in a hostel. Oh well, at least it had access to a shower. Since I was a bit early for check-in, I went for a walk through town (and through the art festival), and grabbed some much-needed lunch at The Last Step. Then I could check in, so I went to get a quick shower (glorious), and claim a bed. I also met Kelsey, who was staying at the same hostel, and works for the Forest Service. We ended up hanging out in the afternoon and getting drinks/food together, since we were both rolling solo. We went to Montanya Rum (delicious cocktails), Brick Oven Pizza, and The Dogwood Cocktail Cabin. After a few drinks, and another long day, it was time for a quick shower (just because I could), and then crashing in my dorm room.